As the Fall draws to a close and we all curse under our breath about the impending cold, let’s take one dip into the pool of delicious Autumnal foodstuffs. Pizza Lab has experimented with pumpkins before, but to avoid repetitiveness we went for a more alternate take on the edible gourd, and used a butternut squash instead. There was a point where we actually had trouble thinking up an overarching theme besides just “Fall” but we eventually decided to toss in some smokey flavors since it seemed like a nice complement. Oh, and also because we recently bought a food smoker and smoked meats are reeeeeeally good. For some reason, limited edition and wacky flavor varieties of foods have become huge in the past few years. I assume it has something to do with the rise of social media since in the past, it was hard to reach any sort of significant audience and national attention simply by releasing a frigging soda-themed breakfast pastry, but alas, welcome to 2016. Hashtags dictate what every idiot does with their day and anything with more than six total fans can go viral in an instant. One of the brands on the frontlines of this LE bombardment is the venerable Oreo. 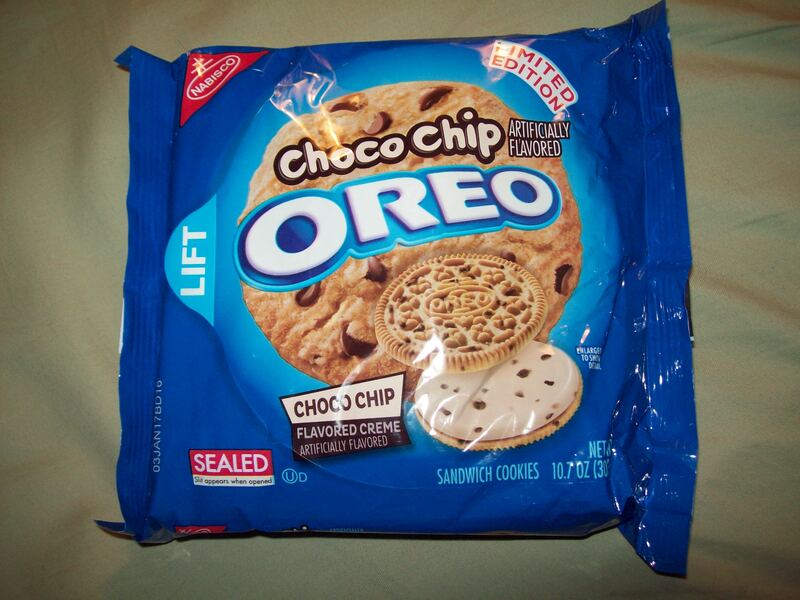 Nabisco sees fit to release them in every possible iteration you can imagine. While some of them are actually really good, some are overwhelmingly “meh”. The real crime isn’t necessarily trying out new flavor ideas, but really is releasing good new flavors, then taking them off shelves so they can think up new abominations like Swedish Fish Oreos or Limeade Oreos or who the hell knows, maybe Chicken Parmesan Oreos could be on the way. Today, let’s take a look at their latest cookie mashup, Choco-Chip Oreos. Tags: cookies, crazy crossovers, disappointing, review, smells, suh-weet!